Shop PolyMem Cloth Strip Dressing (1 ea. )1 ea. 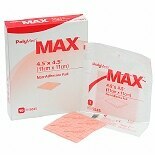 Shop PolyMem Max Non-Adhesive Pad Dressing (10 ea. )10 ea.